This year’s event will commemorate the 30th Anniversary of Star Wars: Episode V – The Empire Strikes Back, and the ongoing, weekly adventures of Star Wars: The Clone Wars. Featuring celebrities, costumes, live entertainment, screenings, autographs, collectibles, panels and more, Star Wars Celebration V is the official Lucasfilm convention. The main event will be when The Daily Show’s Jon Stewart interviews Director George Lucas in an hour-long, candid conversation. A self-proclaimed lover of Lucas’ “galaxy far, far away,” Stewart aims to focus on areas of interest to the many diverse and devoted groups that have helped Star Wars endure for more than 30 years. In addition, fan questions can be submitted through the official Star Wars Celebration V website at starwarscelebration.com. • Matthew Wood (General Grievous, Episodes II and III, Star Wars: The Clone Wars). Celebration hosts include Jay Laga’aia (Captain Typho, Episode II), David Collins (LucasArts) and Pablo Hidalgo (Lucasfilm). The 501st Experience – These stormtrooper costumers will display life-size sets, costumes and prop displays, giveaways, contests and more photo opportunities than you can shake a gaffi stick at. Fans will have the opportunity to visit Tatooine, see a replica display of all six bounty hunter costumes from The Empire Strikes Back, sit in the Emperor’s throne, meet the pink Imperial droid R2-KT, and see a rare display of items from the 501st Legion archives. TK Project – Lucasfilm is launching a year-long campaign to raise much-needed funds for a brave alliance of worthy charities. Leveraging Empire’s enormous popularity with fans, the goal is to channel the Force in support of a series of charitable events and activities. For Celebration V in Orlando, the 501st Legion will benefit the Make-A-Wish Foundation by auctioning customized classic Star Wars stormtrooper helmets and skateboard decks. 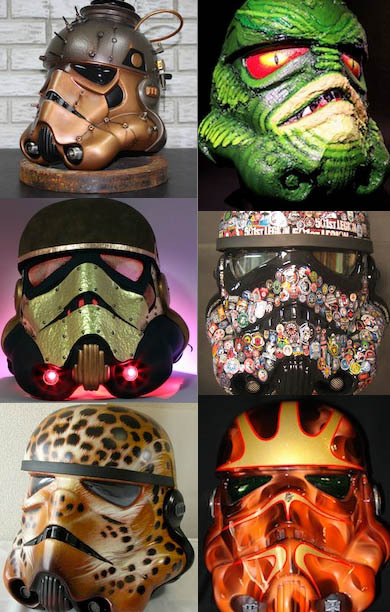 More than 50 contributing artists – including Star Wars actors, underground artists, celebrities and fans – will design and customize stormtrooper helmets. More than 30 artists will customize and design skateboard decks to reflect themes of The Empire Strikes Back. Build Echo Base – Frank D’Iorio, the master diorama builder behind the fantastic fan-built dioramas at Celebrations II, III, and IV is returning, this time to lead fans in building the Rebel encampment on the ice planet Hoth in The Empire Strikes Back. D’Iorio will set the stage in the Diorama building area, and then adults and kids can come and build a portion of the scene – free of charge – which takes shape as one huge diorama over the course of the weekend. 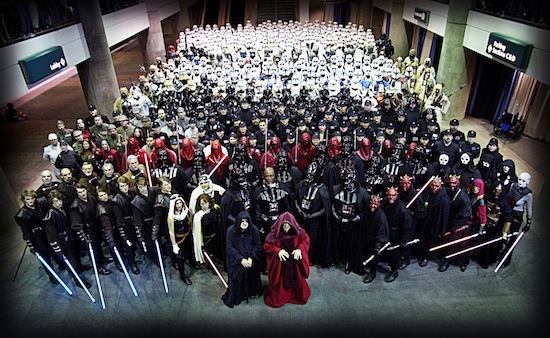 501st Flashmobs – You never know when or where the 501st might appear during the convention recreating some of your favorite scenes from the Star Wars universe. Keep your cameras ready and watch out for stray blaster bolts. Star Wars Celebration Chapel – Star Wars fans will be able to express their deep commitment to their special someone at the Star Wars Celebration Chapel. Choose between a “light side” and “dark side” ceremony, and have your union officiated by your choice of colorful characters from the Star Wars Saga. Kid Fun – There’s a wide selection of events and activities geared especially toward Star Wars’ youngest fans – from arts & crafts tutorials and interactive games to the popular Jedi Training Academy! Troop-Athlon – In the tradition of the historic games that make heroes out of some and humiliate others, the 501st puts an Imperial spin on competition between its own costumed members as we ask the question “What can’t you do in armor?” Returning for Celebration V is the 501st Legion Troop-Athlon! The Troop-Athlon pits fully armored troops from around the world against each other in a head to head test of their athleticism, accuracy, and mental acuity. Cartoon Network Family Room and Screening Room – Cartoon Network presents an area specifically designed for family fun – featuring activities and events, workshops, contests and free screenings of select episodes of Star Wars: The Clone Wars and other Cartoon Network shows. The festivities culminate in The Clone Wars Slumber Party. Star Wars: The Clone Wars – Fans of Lucasfilm Animation’s cutting-edge animated series will have the opportunity to go behind-the-scenes with cast and crew – including supervising director Dave Filoni. In addition to never-before-seen glimpses into the making of Star Wars: The Clone Wars, fans will get a sneak peek at what’s to come in Season Three. Costume Contests – Star Wars costumers both veteran and amateur are invited to participate in costume contests. With four Costume Pageants – two for everyone and two specifically for kids – there are plenty of opportunities to model intergalactic finery. Star Wars Celebration V will take place Aug. 12 to 15, 2010 at the Orange County Convention Center on International Drive. Tickets are available online at starwarscelebration.com. Adult four-day passes are $128, Thursday, Friday and Sunday passes are $48 each, Saturday passes are $54, Kids four-day passes are $54 and one-day passes are $27. Tickets will be more if purchased at the event. Kids 6 and under are free. 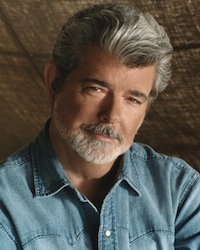 Photos ©2010 Lucasfilm Ltd. All rights reserved. Used under authorization.